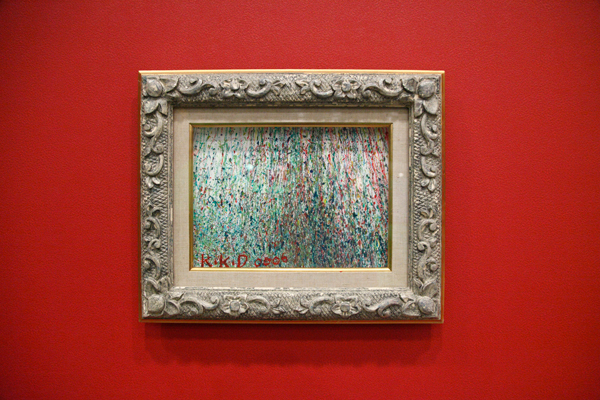 This program is an exhibition taking the form of a long-term workshop. 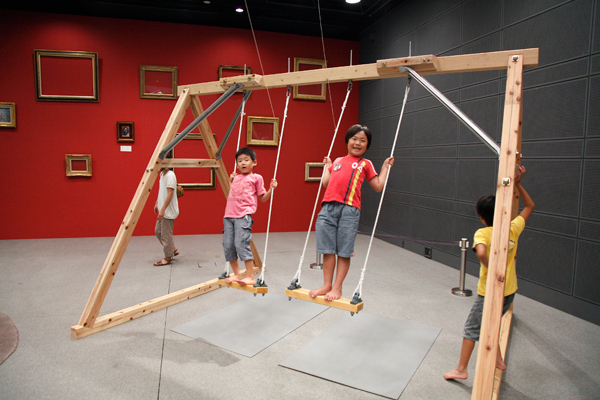 It aims to encourage audiences to join, experience, and make works as well as see them to know the pleasure of art during the summer vacation. Anyone can participate in the works anytime. In addition, artists will have workshops. KOSUGE1-16 presents a new commission work for the Hiroshima MoCA. 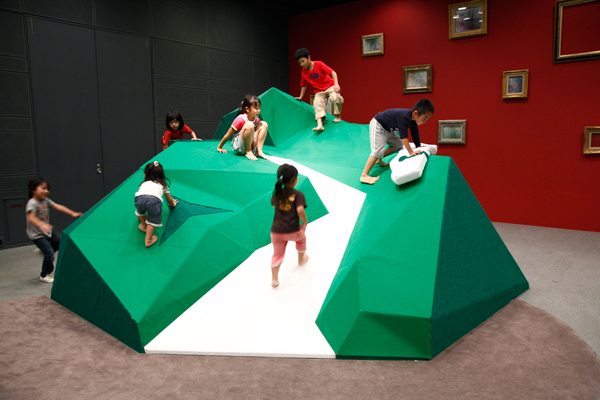 KOSUGE1-16 is an unit of two-artist who has created interactive works that are based on sports and children’s play, and asked involvement of viewers and local communities. 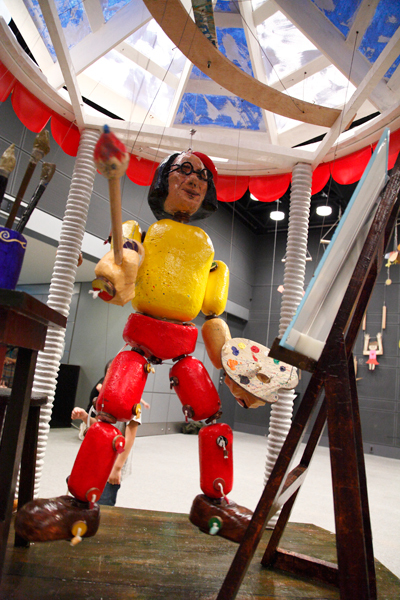 KOSUGE1-16 makes a big puppet with the motif of a painter drawing Hijiyama. Audience is able to move the puppet and make him draw a picture. 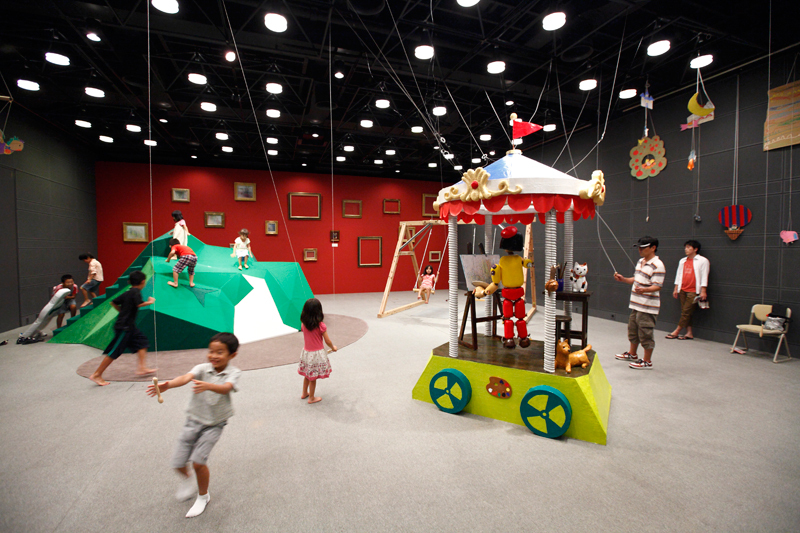 She/he will also move swings placed in the exhibition space to make the painter puppet do a move and also to make animal puppets around him move. This installation creates an opportunity to communicate and collaborate among viewers through the experience to move a puppet together.